Sophie Paris celebrates 13 years in the Philippines with an awarding ceremony, and get together party for its members last week at the Sofitel Philippine Plaza Hotel. Highlight of the event was the Sophie Paris Fashion Show wherein the brand launched its latest collection of men and ladies wear including accessories. 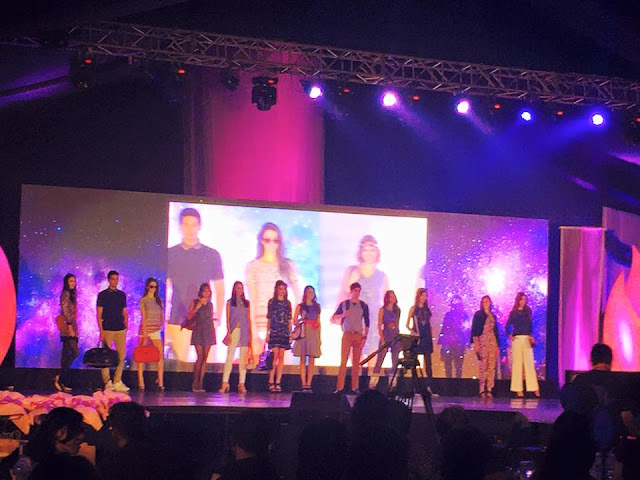 The anniversary event which was billed as- Sophie Paris: Evening with the Stars, also paid tribute to its top sellers thru an awarding ceremony, plus the unveiling of their annual trip which will take deserving "Sophistas" to Cambodia and Los Angeles, California. Sophie Paris is a multi-level company established by a husband and wife team- Bruno Hasson and Sophie Martin. This French couple started the business in Indonesia by producing bags with chic designs. Eventually, they expanded the line to clothing and evolved into an MLM company that is now in different countries in Asia. The success of Sophie Paris can also be attributed to Sophie Martin's stint as a bag designer at Christian Dior. The bag designs at Sophie Paris are not only elegant and functional, but affordable as well.